- define the shore of the island. The river runs through sand and the islands dotted through it do not have much elevation above the water. 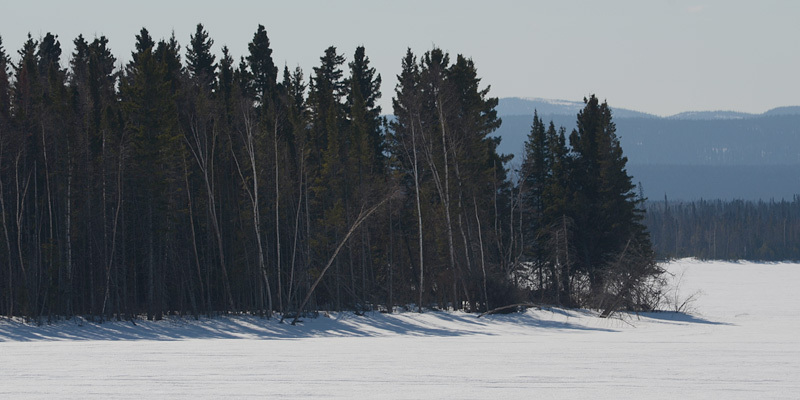 The shadows from the trees define the height of the land against the level of the river ice.